BET Awards 2015 will premiere around the world on BET’s international network on Tuesday, June 30th at 9:00pm BST / 10:00pm CAT and will air live on MTV Australia for the very first time (check local listings). JANET JACKSON and PUFF DADDY & THE FAMILY to SMOKEY ROBINSON and KENDRICK LAMAR, it was a night full of electrifying performances, heartfelt speeches and unforgettable moments at the 15th annual “BET AWARDS” hosted by ANTHONY ANDERSON and TRACEE ELLIS ROSS, which aired live from the Microsoft Theatre at L.A. LIVE on Sunday, June 28th, 2015. KENDRICK LAMAR kicked off the show with an explosive performance of his latest single “Alright” and graced the stage again after winning Best Male Hip Hop Artist. BEYONCÉ and CHRIS BROWN tied with 3 awards, followed by Oscar-winning film “Selma” and FOX’s “Empire,” which each took home two awards. One of the most attention-grabbing moments of the evening was JANET JACKSON taking the stage to receive the inaugural Ultimate Icon: Music Dance Visual Award, presented by Jimmy Jam and Terry Lewis. The pop icon was honored with a tantalizing, high-energy dance tribute highlighting a mix of some of the most memorable and successful performances of her storied career, as told by a star-studded roster of a few of the hottest names in the 2015 class of pop music. It included a pulsating rendition of “Pleasure Principle” by TINASHE, followed by “All for You” by JASON DERULO and CIARA’s hard-hitting delivery of “If.” All three stars joined forces for an unforgettable dance-off to “Rhythm Nation,” which had the entire crowd on their feet and cheering. A humbled Jackson shyly thanked God and her fans for her 25 plus year career, along with BET for the honor, all while smiling brightly and clutching her trophy in hand. NICKI MINAJ got the crowd popping when she joined MEEK MILL on stage with CHRIS BROWN to perform their brand new single “All Eyes on Us.” Then, today’s hottest rising stars, AVERY WILSON and ANDRA DAY both had impressive performances during the evening as a part of Music Matters presented by Nissan. Earlier in the night CHRIS BROWN had the audience moving to his latest hit with TYGA “Ayo,” then the crowd got on their feet when OMARION joined the stage to jump on “Post To Be” for a hot dance routine with Brown. YAZZ, JUSSIE SMOLLETT and SERAYAH from the cast of “Empire” had the entire room dancing to “No Apologies,” “You’re So Beautiful,” and “Drip Drop,” which JUICY J joined for on stage. BIG SEAN got the crowd on its feet to “One Man Can Change the World,” “Blessings,” and “IDFWU” with special guest E-40. Presenter LAVERNE COX got in on the night’s fun with co-presenter GABRIELLE UNION, who played a round of “hip-hop trivia” to determine who would have to change after wearing matching dresses. Following the performance, Diddy presented legendary recording artist and Motown executive SMOKEY ROBINSON with the Lifetime Achievement Award. TORI KELLY blew the audience away during the tribute performance for Robinson with her powerful vocals to a rendition of “Who’s Loving You,” followed by soulful performances from ROBIN THICKE and NE-YO, before Smokey himself took the stage to perform “Tracks of My Tears,” “Cruisin’,” and a crowd sing-along to “My Girl,” for which Kelly, Thicke and Ne-Yo returned to the stage. FETTY WAP capped the epic night with smash hit “Trap Queen”, which delivered on its promise to be the hottest ticket in town. The “BET AWARDS” 2015 drew the biggest names in music, entertainment and sports, with appearances by Rihanna, Kevin Hart, Janet Jackson, Brandy, DeSean Jackson, Donald Glover, Gabrielle Union, Kelly Rowland, Laverne Cox, Michael B Jordan, Michael Ealy, Nicole Ari Parker, Sanaa Lathan, Terrence Howard, Tia Mowry-Hardict and Zendaya. NICOLE ARI PARKER and BORIS KODJOE presented Bivian “Sonny” Lee lll (Founder and President of Son of a Saint) as a recipient of the 2015 Shine-A-Light. Michael B. Jordan also presented the honor to the #BLACKLIVESMATTER movement. 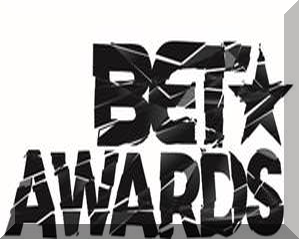 The “BET Awards” 2015 will premiere around the world on BET’s international network on Tuesday, June 30 at 9:00pm BST / 10:00pm CAT and will air live on MTV Australia for the very first time (check local listings).